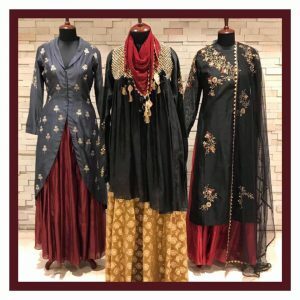 Lifestyle show—Hidden Treasures will be home to numerous fashion labels who have participated in the trendsetting and glamourous Lakme Fashion Week. As many as 7 designers will be presenting modish style statements currently in vogue. The show will also exhibit ground-breaking runway styles with some of the most coveted brands and designers. Magical designs will make the 2-day show nothing less than a splendour of beauty and innovation. The show curated and conceptualised by entrepreneur-duo, Richa Singh and Saloni Bhandari will be held at Diggi Palace on 23 and 24 February. 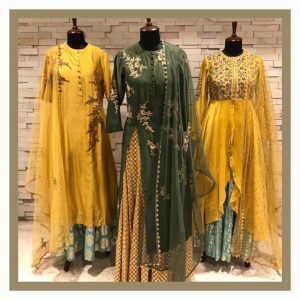 Resplendent creations like kurtas, skirts, Anarkalis, Lehenga-Choli sets and much more will demonstrate pure approach and design by gifted designer, ‘Joy Mitra’. Hailing from Vadodara, ‘Avni Bhuva’ will bring creations inspired by the tales of ancient Indian civilisations. This innovative designer uses advanced and urbanised designs to seize Indian aesthetics and fuse them with modern sensibilities. Their products are manufactured using organic fabrics, vegetable dyes and block prints which exude a sense of craftsmanship. 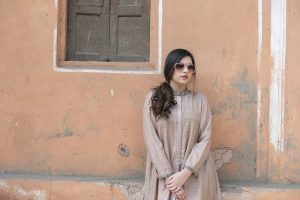 Young and creative designer – ‘Paridhi Jaipuria’ will be showcasing her posh and chic collection of artisanal clothing. The collection will follow earthy textures and a neutral colour palette. With special focus on work/office attire, their looks will radiate minimal, clean and relaxed silhouettes. Vision of Creative Director Gaurika Sharma of ‘Soutache’ will display a collection comprising of ponchos, lightweight pullovers, capes, gloves and scarves that will be perfect for cooler months using natural fabrics like luxurious cashmere, fine silks and wool. Other than this, ‘Kanabis’ will be bringing animal-friendly footwear to the show. 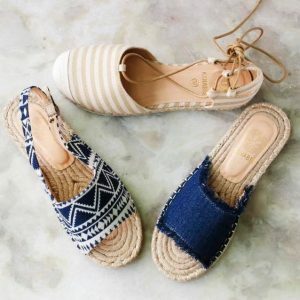 Fashionable, bespoke, PETA approved vegan footwear injected with a careful mix of fabrics is sure to add the right look and quality finish to your shoe closet. 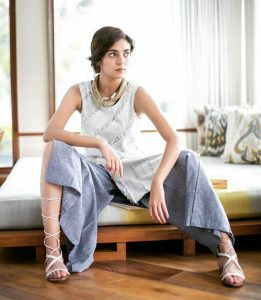 Functional fashion which tells a story with a carefully chosen colour palette keeping in mind Indian sensibilities will be the go-to style for brand ‘I am Design’ by Pratik and Priyanka. Bringing their personal brand of quirkiness to the fore, ‘Kit and Caboodle’ celebrate the eccentricities of style through their unique collection. Clean lines, ethnic touches, fabric manipulation and exploring fine materials dominates their brand essence.